joel really give us amazing experience while the tour. unfortunately the weather bit hazy, so we can't spotted the sunset. but, joel give us more bonuses like showed us the koala after we finish our lunch! love Go West! joel really give us amazing experience while the tour. unfortunately the weather bit hazy, so we can't spotted the sunset. but, joel give us more bonuses like showed us the koala after we finish our lunch! love Go West! joel really give us amazing experience while the tour. unfortunately the weather bit hazy, so we can't spotted the sunset. but, joel give us more bonuses like showed us the koala after we finish our lunch! love Go West! Glorious views! Am glad I took the sunset tour because the end was worth it. Prompt pick up. Lovely tour guide, Chris, who shared cool trivia like Mad Max shooting spots! Choose this tour over the regular day tour. Glorious views! Am glad I took the sunset tour because the end was worth it. Prompt pick up. Lovely tour guide, Chris, who shared cool trivia like Mad Max shooting spots! Choose this tour over the regular day tour. We had a friendly and humorous guide called Brandon. He told us about things that had happened about the towns our car brings us through, shared with us information about the plants and animals, plays awesome music, and is a good driver. We enjoyed our trip greatly because of this wonderful guide. It was sunny, and the scenery is fantastic. We had a friendly and humorous guide called Brandon. He told us about things that had happened about the towns our car brings us through, shared with us information about the plants and animals, plays awesome music, and is a good driver. We enjoyed our trip greatly because of this wonderful guide. It was sunny, and the scenery is fantastic. If you have motion sickness, you should probably skip this as at times you get get really dizzy from the turning and long hours of driving. However, the views are simply gorgeous and super worth it at the end of the day. Just imagine blue skies turning pink then red, accompanied by breezy cold winds. Just simply beautiful and surreal. If you have motion sickness, you should probably skip this as at times you get get really dizzy from the turning and long hours of driving. However, the views are simply gorgeous and super worth it at the end of the day. Just imagine blue skies turning pink then red, accompanied by breezy cold winds. Just simply beautiful and surreal. 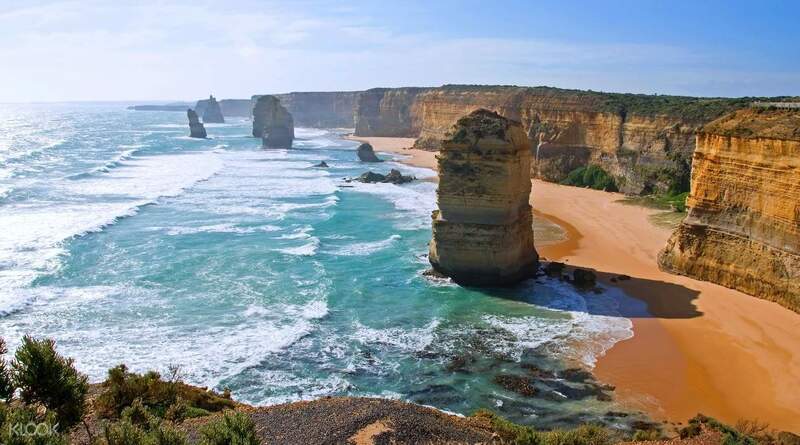 Great sharing from our guide, Leanne on the interesting information on the Great Ocean Road, 12 Apostles and other places as we drive past them. The weather wasn’t too good during the evening hence no sunset view. Only had crazily strong wind. But it was a good experience! 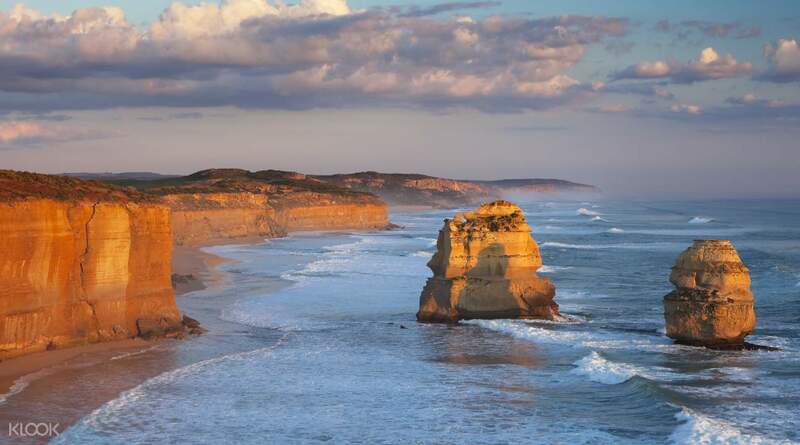 Great sharing from our guide, Leanne on the interesting information on the Great Ocean Road, 12 Apostles and other places as we drive past them. The weather wasn’t too good during the evening hence no sunset view. Only had crazily strong wind. But it was a good experience! The tour was great, we were lucky because the weather is on our side, sunny and clear on an April day. But the time isn't on our side because of Melbourne's traffic, so don't expect to be back early on this tour. Our bus driver Stephen from Go West tour is really informative and funny too! I can feel his passion on doing this tour, especially about the koalas. 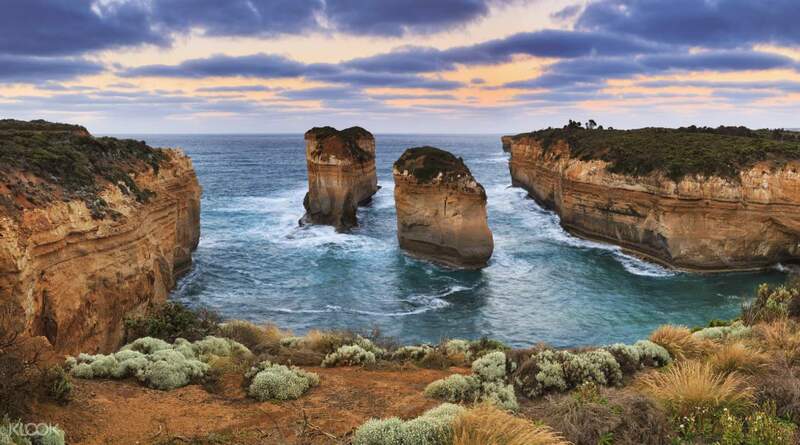 There are some things to note though, such as at Kennett River, it's not that easy to spot a koala in the wild, so don't get your hopes too high. You'll have to be punctual in order to get to each places on time, because it was very fast when the sun sets (which was beautiful btw) so you would need to be extra on time, remember to follow the tour guide on that regard. But overall it was a great experience for me. The tour was great, we were lucky because the weather is on our side, sunny and clear on an April day. But the time isn't on our side because of Melbourne's traffic, so don't expect to be back early on this tour. Our bus driver Stephen from Go West tour is really informative and funny too! I can feel his passion on doing this tour, especially about the koalas. There are some things to note though, such as at Kennett River, it's not that easy to spot a koala in the wild, so don't get your hopes too high. You'll have to be punctual in order to get to each places on time, because it was very fast when the sun sets (which was beautiful btw) so you would need to be extra on time, remember to follow the tour guide on that regard. But overall it was a great experience for me. 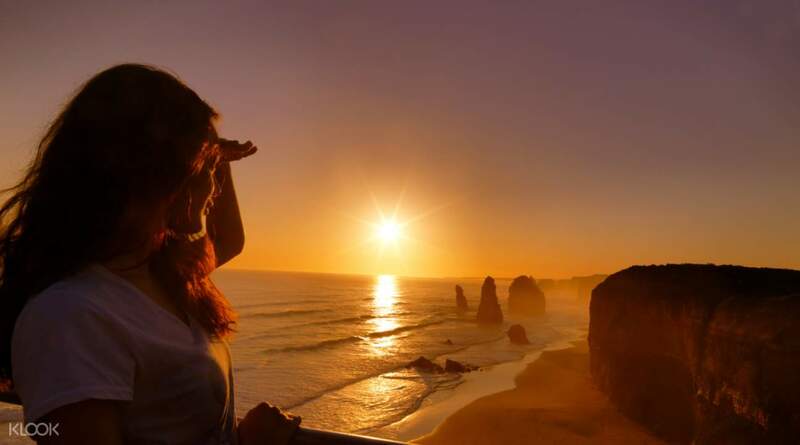 We could have caught the golden hour at the Apostles. if we didn’t stop for dinner. We should have ate in the bus on our way to the Loch & Gorges and then the Apostles. Also, I think we were all behind time because we waited for a couple who didn’t turn up. I feel that Klook/Gowest staff should call everyone at 24hours before or 8am to reconfirm and check in. 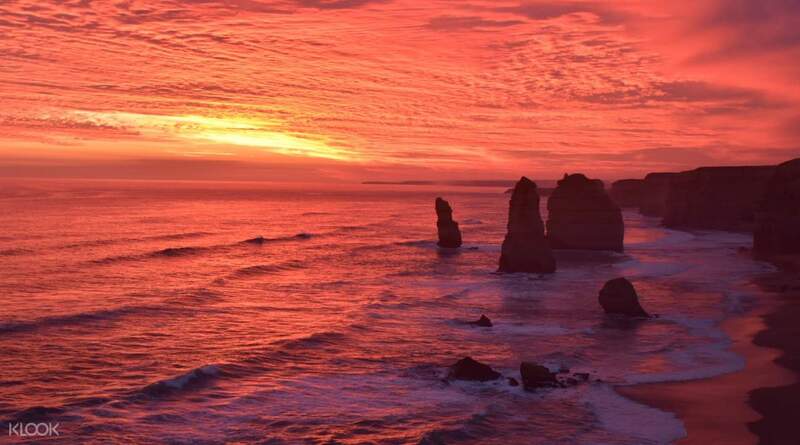 We could have caught the golden hour at the Apostles. if we didn’t stop for dinner. We should have ate in the bus on our way to the Loch & Gorges and then the Apostles. Also, I think we were all behind time because we waited for a couple who didn’t turn up. I feel that Klook/Gowest staff should call everyone at 24hours before or 8am to reconfirm and check in.